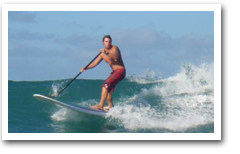 No trip to Waikiki would be complete without a surfing session! No waiting period. We'll take you out at the time you want to go. 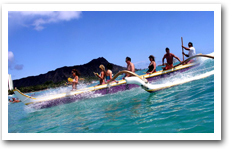 Try out the newest sport to hit the islands! 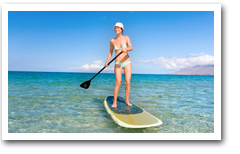 Stand Up Paddling is a hybrid of surfing and canoe paddling. Head out aboard our deluxe double-decker surf safari powerboat and enjoy an afternoon of fun.